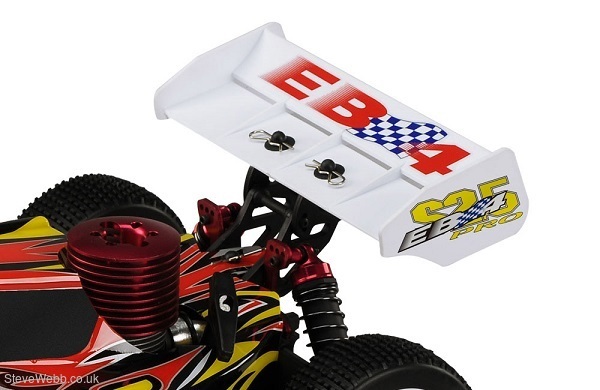 The EB-4 S2.5 Pro is a 1/8 scale nitro buggy from Thunder Tiger. 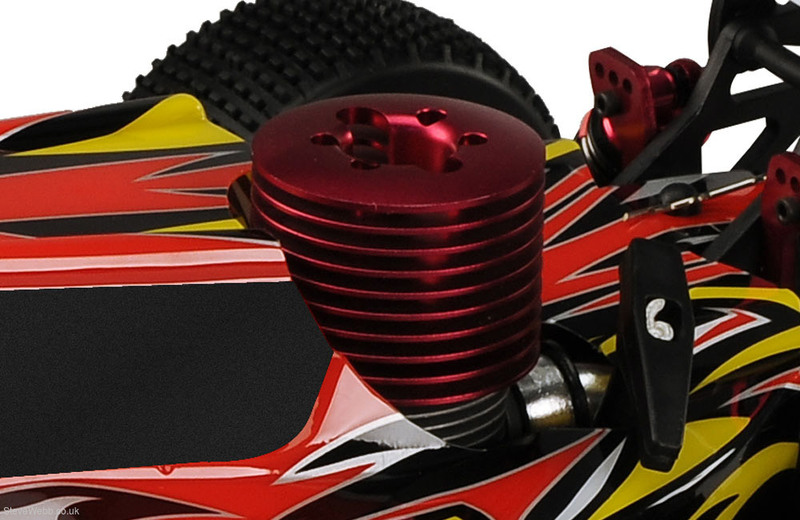 Powered by a PRO-28BX-R engine with a tuned muffler, this is one red-hot buggy. The Thunder Tiger EB-4 comes ready-to-run with all assembly completed. When you hit the track, you will notice how this RC buggy has easy handling characteristics, thanks to its high torque steering servos. 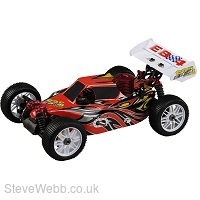 This nitro RC buggy also comes with a race-legal 125cc fuel tank with a flip top design; making refuelling faster. Less time in the pits – more time on the track. If you are looking for a high-performance buggy or perhaps your first nitro car, the EB-4 S2.5 Pro from Thunder Tiger is an outstanding choice.